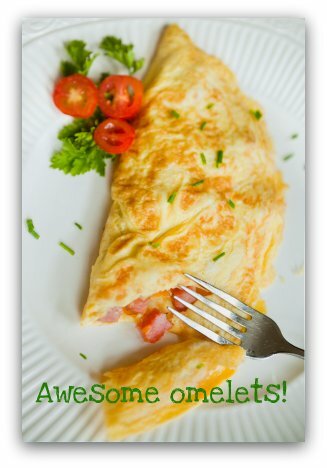 Omelet Recipes Tips To Make Awesome Low Carb Meals! Cooking up delicious omelet recipes is always egg-citing for me. An omelet can range from really simple fare to an exquisite culinary experience. 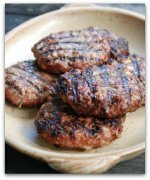 It can provide a healthy low carb breakfast or a delicious low carb dinner. There’s no doubt about it, omelets can add a lot of variety to your low carb diet. Some omelets are folded, rolled or flat and some are souffléed (baked to delicious deep fluffiness). And of course some are easier to prepare than others. But no matter what, there are a few things you need to know. A tip when cooking omelets is to make sure the fat is hot enough so that the omelet exterior cooks right away. Yet you don’t want it so hot that it scorches or that the omelet gets tough before the middle is set. To cook a two-egg omelet will take about 1-1/2 to 2 minutes if the pan is at the right temperature. Use a non-stick sloped-sided pan for best results. About 6 to 8 inches in diameter is a perfect size. FRENCH OMELETS are rolled and require a bit of practice. They are soft and delicate. Typically they’re just made of eggs, salt and pepper. Sometimes fresh herbs are added. If you decide to add a filling, don’t overpower the delicate flavor of the eggs with strong flavored meats or pungent spices. A FOLDED OMELET is great for the novice cook. Rather than soft and delicate, this is quite a firm omelet. Before folding them you can add cheeses, meats and herbs. The variety of possibilities here is endless. A FLAT OMELET is also simple to make. 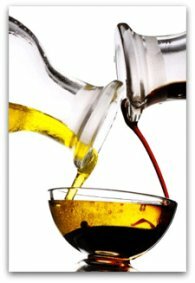 Basically the egg simply acts as the binding agent for the filling ingredients. Kinda like mortar between bricks. Most people will be familiar with the Western or Denver Omelet. 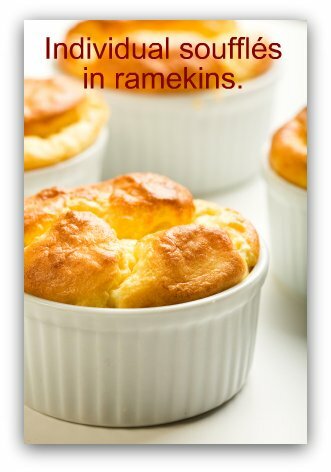 And here is the most challenging omelet of all… the soufflé. This is a culinary egg challenge that requires patience and a little sense of humor when things don’t go as well as you’d hoped. Needless to say, don’t try this for the first time on your dinner guests. Because a soufflé has a breadcrumb base, I haven’t yet developed a low carb recipe for one, but I’m working on it. 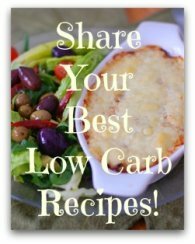 So now it’s time to discover, or rediscover, delicious low carb omelet recipes. Let's go from our Tips for Omelet Recipes page back to our Egg page.